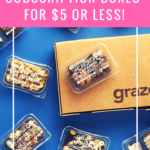 Check out the latest Supply Pod Coupon on My Subscription Addiction! Supply Pod Cyber Monday Deal – 20% Off Of Your Subscription! Supply Pod Early Black Friday Deal – 20% Off Of Your Subscription! Supply Pod 20% Coupon + July/August 2016 Spoilers! New Supply Pod Coupon – 15% Off Bruce v Clark! Exclusive Supply Pod Black Friday 15% Off Coupon + Star Wars Giveaway!